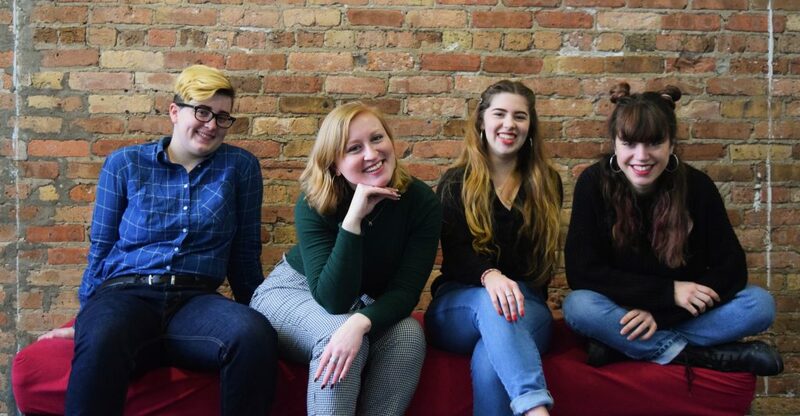 From left to right: Manifest Creative Director: Lex Heyler (19), Manifest Digital Media Assistant: Paige Brunsen (21), Manifest Marketing Assistant: Angelica Hornewer (20), Manifest Production Assistant: Erini Nicolaidou (19). Since we’re only in the fourth week of classes at here at Columbia, most students have yet to think ahead to midterms, let alone the end of the semester. But even though we’re surrounded on all sides by a polar vortex, the 2019 Manifest team is hard at work focusing on those sunny days ahead of us in May. It’s their job to make sure that this year’s Manifest Urban Arts Festival is one to remember, and they’re going to spend the next few months agonizing over every detail. But for now, let’s take a moment to get to know the people who are going to make it all happen. Paige, a sophomore studying Post Production for Cinema, is in charge of making promotional videos for the upcoming festival. “I am striving to make this year’s Manifest opportunities accessible and visible to all students,” says Paige of her new role. “Amplify to me is a word of empowerment, encouraging people to be vocal about their passions and their work.” Paige wants to make sure Columbia students know how to take part in Manifest however they wish to, and she’s hoping to get as many people involved as possible.